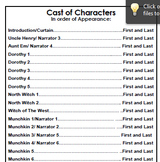 Simple Playbill Template in .pdf formatStudents will need to create their theater name and add it as well!Enjoy!Please leave feedback! 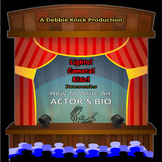 When students are prepared to share a play or presentation with your school community, this document can help you create a quick playbill for parents to follow along with the order and vision of the show. 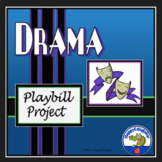 What better way to enhance the atmosphere of the school drama performance than with a custom PLAYBILL program! Customize the program to fit your school. It's not Broadway, but it's close!